Diamonds are forever, but unfortunately, clean diamonds are not. Many people neglect cleaning their diamonds properly, and so the sparkle and brilliance of the gem is compromised. But wasn’t the sparkle, that romantic winking allure, the reason the diamond was bought in the first place? Why are so many of us sacrificing the true essence of the diamond? Because cleaning them is a hassle? Because it costs a lot of money? This may sound a bit over the top, but the first thing you should do before cleaning your ring is take a look at what kind of dirt buildup is covering it. Is it the normal grime from day to day life that builds up over time? Or maybe you got some makeup on it? If so, you can easily clean your gem at home. If the dirt is caused by a more serious offense, like paint or chemicals, it might be best to have a professional jeweler clean it up for you. Any dirt that looks like it would need a great deal of solid scrubbing may be best handled by a professional. 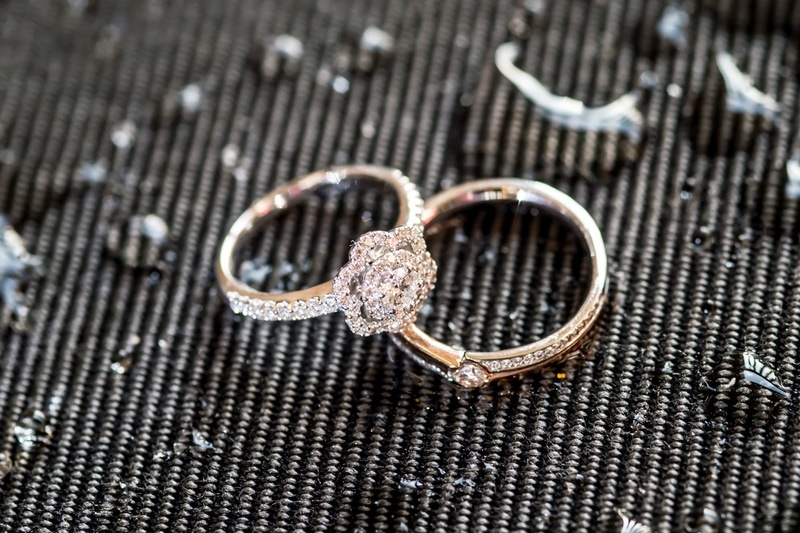 The best way to clean a diamond ring is to start with a soak. Use warm or hot water with a mild dish soap to make your diamond cleaning solution, then soak the diamond in this solution for 15 minutes. This will let the dish soap attack the grease on your ring. Soaking it will make the process in Step 3 much easier, so this is a very important step. Once you’ve soaked the diamond in the cleaning solution, take a soft toothbrush and gently scrub away remaining dirt. Be careful not to be too harsh with the scrubbing. Even though diamonds are almost impossible to destruct, they can chip and the metals on your piece can be scratched if handled improperly. Has Soft Bristles – Make sure it is not a toothbrush with rubber bristles. Toothbrushes for kids are usually softer and are perfect for diamond cleaning. Is Only Used For Cleaning Jewelry – Keep this toothbrush as a tool used only for cleaning your jewelry, that way it will stay soft and ideal for freshening up your gems. Also, don’t just throw your jewelry in an ultrasonic cleaner! Use mild and soft tools and be gentle to prevent any damage coming to your beloved ring. As you can see, cleaning your own diamonds is not as much of a hassle as you may have thought. So remember to keep your diamonds sparkling and clean, because the difference between a clean diamond and a grimy one is a lot bigger than you might think.